The Israeli government is to boycott the Paris Film Festival over the organizer’s decision to air a movie that is said to “hurt the reputation of Israel’s military”. Culture Minister, Miri Regev, is said to be on a mission to stop the film “Foxtrot” gaining wide recognition. The Israeli movie has a controversial scene in which the Israeli military covers up the deaths of a carload of Palestinian teenagers. The movie focuses on the life of a family: two parents and their daughter who all reside in Tel Aviv, while their son – who is a soldier – serves far away from them. The movie won the Silver Lion award at the Venice Film Festival and was shortlisted for Best Foreign Language Film at the Oscars. Regev has not only denounced the movie for “defaming the IDF and its values” she is also putting pressure on the foreign ministry to withdraw its support from the Israeli Film Festival in Paris later in the year. It seems Regev was unaware that “Foxtrot” was going to open the festival until she visited Paris recently met with Israeli Ambassador to France Aliza Ben-Nun and her team to discuss a project promoting cultural connections between Israel and France. 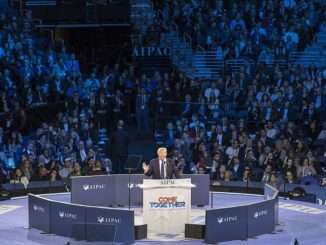 During the conversation, Haaretz reported that Regev became aware that “Foxtrot” was going to be shown, which according to Regev “contradicts earlier agreements”. 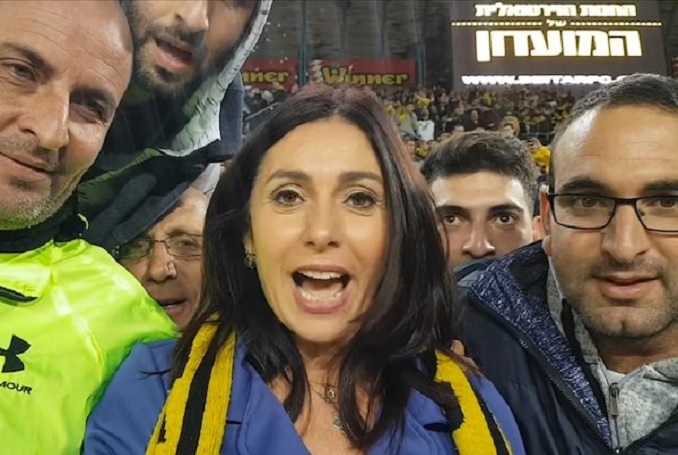 Israeli sports minister Miri Regev, surrounded by racist Israeli fans singing an anti-Arab genocidal chant "burn your village" (שיישרף לכם הכפר) on Monday during a football match. 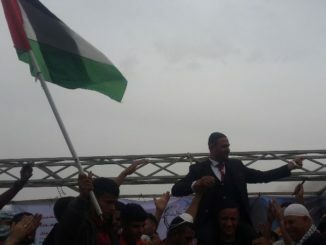 Regev also complained that the movie was used by the Boycott, Divestment and Sanctions campaign (BDS) to highlight the Israeli military in a poor light. The Israeli Film Festival in Paris is run by the French film association Kolnoah (the Hebrew word for “cinema”). 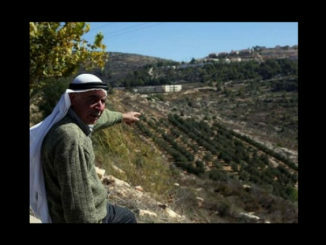 In addition to a stipend from the Israeli foreign ministry, it receives backing from the Israeli Film Fund, the Israeli Film Council and a handful of French-Jewish organizations. I am very sincere in this question: when, if ever, will it occur to the Israeli government that maybe they are not perfect? Such actions only display moral arrogance. By Christ! It would take an awful lot to defame the IDF!